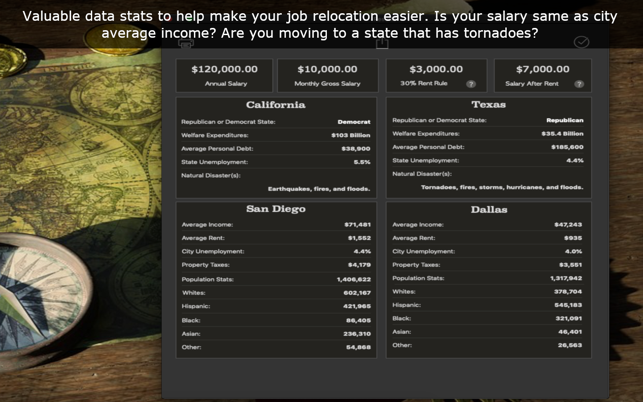 Job Relocation is a cost of living app that lets you compare 2 different states and cities within the USA. The numbers focused here will help you make the decision if new job offers make sense financially for your situation. 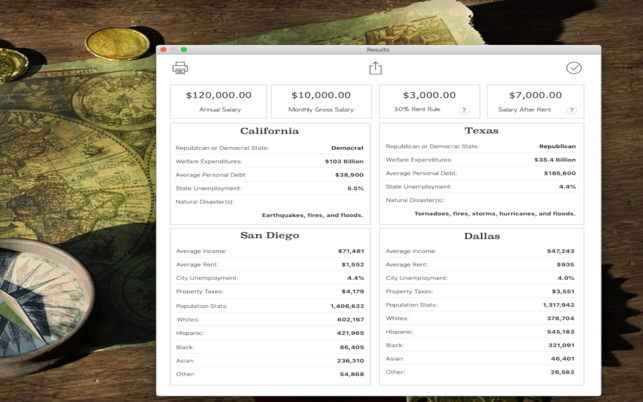 Take your job offer salary and compare against average salary of populations around the world. 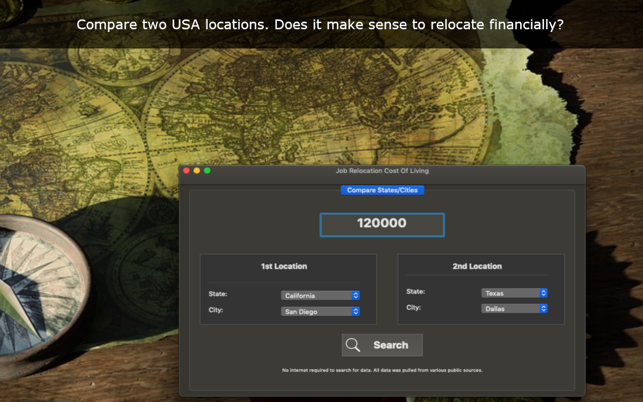 Do you make enough to live comfortably in this new city? * State republican or democrat. * Population numbers with race. 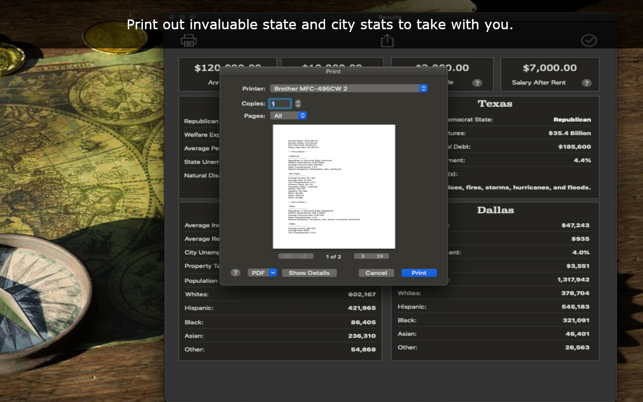 * Average rent, property taxes, and income by cities. * Personal debt by each person by state. * Welfare expenditure amount per state. * Unemployment for state and cities. App Credits: Icons used in app were created by www.icons8.com. Optimized icons for dark mode. Copyright © 2018 JG. All rights reserved.